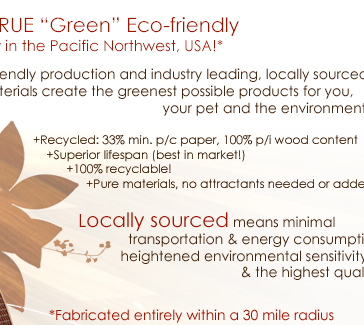 True Green Eco-friendly, Made entirely in the pacific northwest USA green production practices industry leading, locally sourced materials create the greenest possible products for your you pet and the environment. 100% recyclable superior lifespan no additives or catnip. 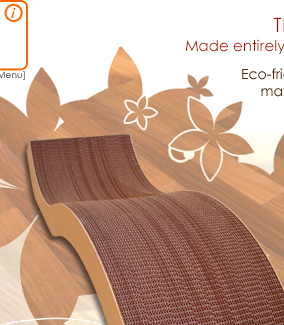 locally sourced low energy consumption environmental sensitivity highes quality.